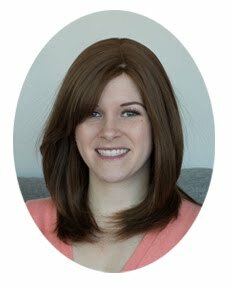 Waffling: Update on DCP, Legs, and Teeth! I thought I would do a quick update on my DCP treatment and other health things. DCP treatment has been going ok. I ran through a few weeks of terrible blistering (not fun) so I took a week off to heal and dropped my dosage and I have been doing a lot better. I am still going in weekly, which is annoying, but I am loving the spring weather so I don't mind as much when I am leaving work at 2:00pm on Thursdays or getting up at 5:15am on Mondays (when I can go alternates according to when the clinic is and my own schedule). As for regrowth, I am finally starting to see some hair coming in. It is pretty sparse, and right now is mostly on the back and the sides and I joked to the doctor that I am going to look like an old man soon. Anyway, I have always maintained not keeping my hopes up. This sparse hair is certainly not indicative that my Alopecia will go away. I have no idea what it will look like a few months, how long I need to do the treatment, or what happens when I stop. It is kind of annoying not to get enough time to sit down with the dermatologist and discuss all this, but now she is on maternity leave so my next appointment is with another doctor who may not know this treatment well. So who knows? Moving on from that, I also saw a podiatrist last week about my recurring calf pains from running. It turns out I probably have a muscle strain. 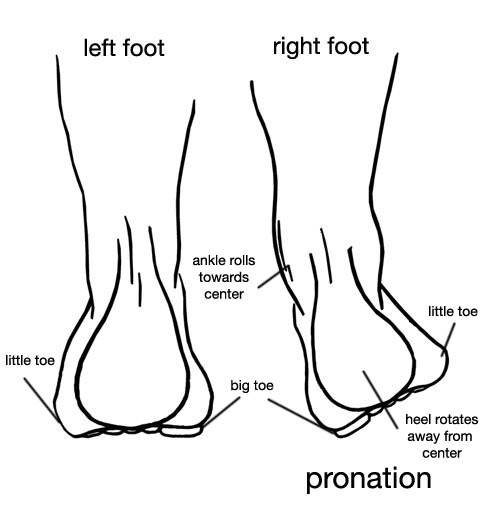 The reasons for this are that my right foot overpronates (I stand on the inside instead of the middle), I have arches that fall when I stand, and I have well developed calf muscles, which can lead to tightness. The good news is that I don't need orthotics! He recommended I do daily calf stretches to loosen the muscles, take some time off of running longer distances, and get better running shoes. If I start running longer distances I may need running orthotics so I am going to go back in a year for a follow up. I have done all that, plus I got a massage on the weekend! My friend Sarah and I went to Elmwood Spa in Toronto to relax and spoil ourselves. It was sooo nice and I think we are going to go back in a couple of months. My insurance actually covers about 5 massages a year so I plan on using them!! As for the shoes, I ended up getting Asics GT-2000. Lastly, I am getting my wisdom teeth out on Friday morning (shudder) so I may be MIA for a few days next week as I will be preoccupied with sleeping and eating ice cream. Please feel free to leave some tips on what to eat after! I picked up yogurt, fruit, and spinach to make shakes, ice cream, meal replacement drinks, and some KD. I think that I have definitely covered the dairy food group :). make some mashed potatoes ahead of time! good luck with the wisdom teeth being pulled! Don't eat anything through a straw. Sucking can cause the holes in your mouth to have recurring bleeding/take longer to heal. Soup is not your friend. You want foods that are soft, but won't fall apart (hey soup I'm looking at you dribbling off the spoon here). So steamed veggies cut up in toddler sized bites, smoothies (fruit, kale, whatever floats your boat), small pasta noodles, mashed squash or carrots can be added to mashed potatoes if you get bored. Soft fruits like banana an kiwis which require little chewing are good too. That's good to hear there's nothing seriously wrong with your leg, better safe than sorry and yeah, I'm horribly jealous of your Asics. I underpronate so finding a good pair or running shoes that I won't wear out in a season is hard. That's interesting about te DCP treatment, I wonder if the reason you haven't got a lot of detail about the outcomes/what happens afterward is because it's so variable between individuals (and if it's a fairly new treatment they still may not be 100% certain about the range of reaction to treatments). well soup will be fine I think once the freezing wears off, and as long as it is not too hot and has no "bits" in it, like rice. Bananas are a good (and delicious) idea! Have you seen a podiatrist about your underpronation? Mine recommended the asics and maybe one could recommend a good shoe for you! Or google it! I second the mashed potatoes! When I had my wisdom teeth removed, I lived off of smoothies (ate with a spoon, NO STRAWS!) and mashed potatoes. I did end up developing dry sockets but they put medicated swabs in the hole and I was good to go- even ate solid food right after the procedure. Just take your time with healing. I'm a total baby and definitely "babied" my gums and stitches. Stay diligent with cleaning with the water spout thingy they give you.